As we are wrapping up the year, it is a good time to reflect on all the great things that have happened to the Eclipse IoT community this year. The 26 different open-source projects that are hosted at Eclipse IoT total 2.3M+ lines of code. More than 250 developers have contributed code to the projects during the past 12 months, and during the same period, our websites have seen 1.3 million of visitors. It is always interesting to look at who is contributing to the Eclipse IoT projects. 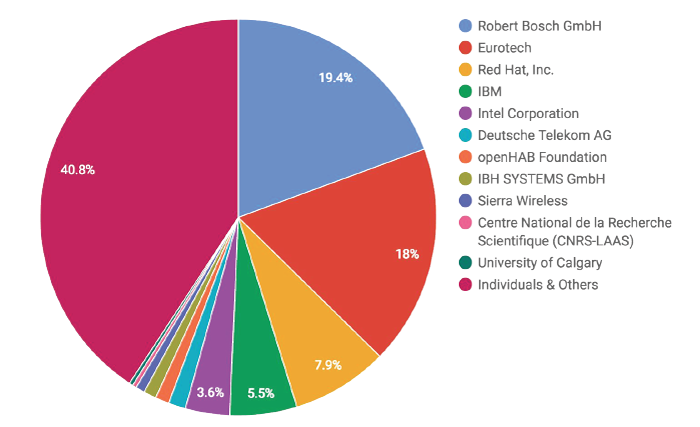 The commitment of companies such as Bosch Software Innovation, Eurotech, Red Hat, IBM, Intel, and many others to open source IoT really shows when you look at how much (working!) code they bring to Eclipse IoT. I am really excited to see how many new projects we onboarded this year, with a particular focus on IoT server technology, an area where very little had been available in open source until recently. 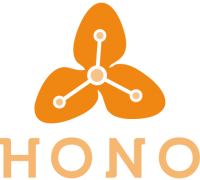 Eclipse Hono provides a uniform API for interacting with devices using arbitrary protocols, as well as an extensible framework to add other protocols. 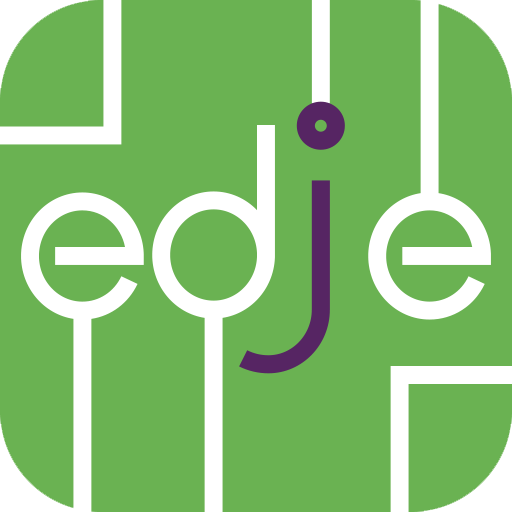 Eclipse Edje provides an high-level API for accessing hardware features provided by microcontrollers (e.g GPIO, ADC, MEMS, etc.). It can directly connect to native libraries, drivers, and board support packages provided by silicon vendors. 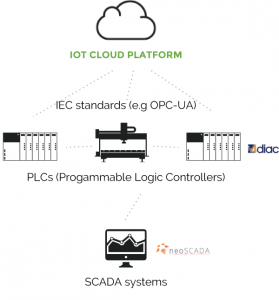 OPC Unified Architecture (UA) is an interoperability standard that enables the secure and reliable exchange of industrial automation data while remaining cross-platform and vendor neutral. Thanks to Eclipse Milo, people have access to all the open source tools necessary to implement OPC UA client and/or server functionality in any Java-based project. Eclipse Kapua is a modular platform providing the services required to manage IoT gateways and smart edge devices. 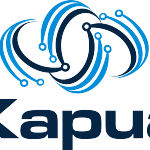 Kapua provides a core integration framework and an initial set of core IoT services including a device registry, device management services, messaging services, data management, and application enablement. The Eclipse Unide project publishes the current version of PPMP, a format that allows to capture data that is required to do performance analysis of production facilities. It allows monitoring backends to collect and evaluate key metrics of machines in the context of a production process. It is doing that by allowing to relate the machine status with currently produced parts. The goal of Eclipse ioFog is to make developing IoT edge software feel like developing for the cloud, but with even more power. The Eclipse Agail project is a language-agnostic, modular software gateway framework for the Internet of Things with support for protocol interoperability, device and data management, IoT apps execution, and external Cloud communication. Can you spot a common denominator between these IoT platforms? Not only do they all support MQTT as a protocol to send data from the edge, but they also all provide SDKs that are built on top of Eclipse Paho and Eclipse Mosquitto. This year, the Eclipse IoT Working Group members collaborated on a white paper that has been very well received, with tens of thousands of views and downloads. 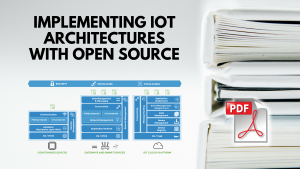 It is reflecting on the requirements for implementing IoT architectures, and how to implement the key functionality of constrained and smart devices and IoT backends with open-source software. As the different initiatives around “Industry 4.0” are becoming more mature, the ecosystem of open source projects available at Eclipse IoT (Eclipse neoSCADA, Eclipse Milo, Eclipse 4dic, etc…) is getting more and more traction. 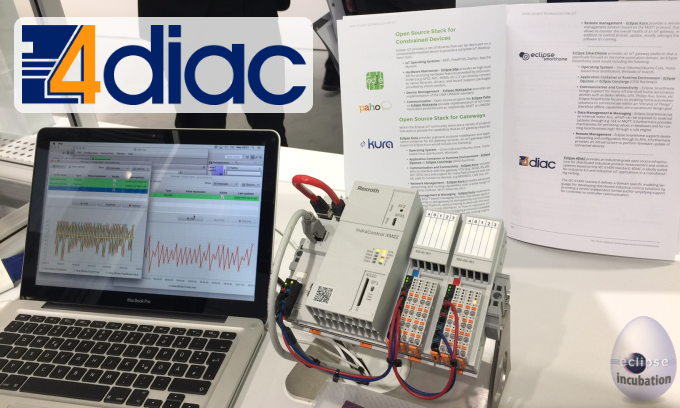 As an example, the 4diac team has demonstrated how to program a Bosch Rexroth PLC using 100% open source software at the SPS IPC Drives tradeshow this year. The Virtual IoT meetup group has hosted dozens of webinars this year again. I highly encourage anyone to check out the recordings of our previous sessions – there is a lot of educational material there, delivered by world class IoT experts. Next year I’m hoping to see a lot more happening in the aforementioned areas. More projects, of course, but also more integration of the current ones towards integrated stacks targeting specific verticals and industries. My colleague Ian also recently blogged on this topic. One short last word: don’t forget to follow us on Twitter and Facebook to learn more about what is happening within our community. The article Eclipse IoT in 2016: A Year in Review appeared on Benjamin Cabé first.